Set on a hill above town with with breathtaking views over the Shropshire countryside, Fishmore Hall is Ludlow's most exciting boutique hotel. This beautifully symmetrical Georgian house has been transformed by the young owner Laura Penman into a real gem, with luxurious, contemporary and individually-styled bedrooms and gourmet cuisine. Light and spacious, most have views through huge sash windows across the lush green woodland and undulating countryside. You'll find wide beds, crisp linen and luscious bathrooms with huge walk-in showers, waterfall shower heads, delicious Elemis toiletries and the thickest, fluffiest bathrobes and slippers to relax in, not to mention flat screen TVs, proper coffee and teas from Cafe du Monde and Ronnefeldt, as well as homemade biscuits. Discover the innovative cuisine at Fishmore Hall's restaurant as you take in the beautiful scenery through large French windows or from the terrace in the summer. Chef Joe Gould's verve and originality shine through in the superb Shropshire tasting menu, which features locally grown and reared produce. His passion comes through in the innovative way he combines flavours and textures, actively sourcing his ingredients as close to the doorstep as he can. The new spa is nestled in the gardens and features a sauna, steam room, outdoor hot tub and drench showers as well as four treatment rooms and indoor and outdoor seating areas. The relaxing signature spa treatments include Elemis facials, Lava Shell massage, Jessica Manicure and Pedicures and Mii Makeup. A fascinating landscape where the pastoral English lowlands meet the remote Welsh uplands, Shropshire is dotted with Norman castles, historic market towns and quaint villages - the prettiest of all being Ludlow, which is laid out in the valley beneath the hotel. Famous for its food festival, fascinating shops, celebrated restaurants and historic castle, Ludlow is the perfect starting point to discovering this unspoilt enclave of England. 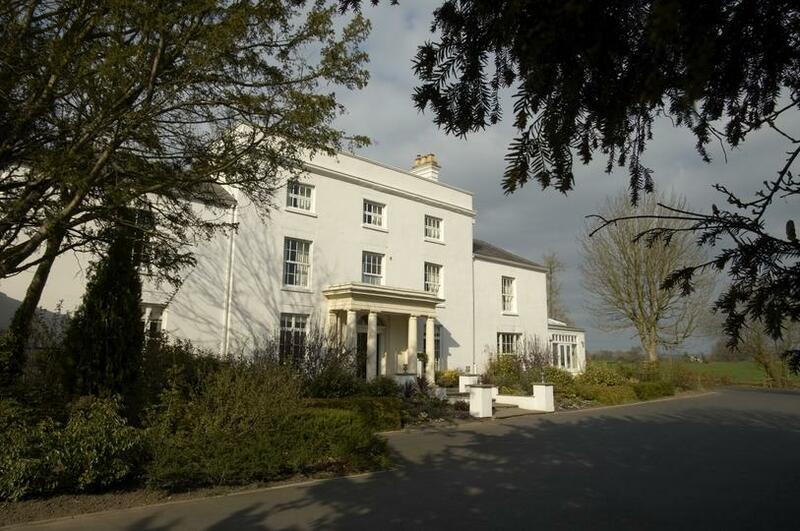 Fishmore is also a perfect spot for events - a dedicated events manager caters for conferences and meetings, and the marquee on the hotel lawn is ideal for weddings.